Bitcoin Cash is the latest major cryptocurrency to surge in value, with prices more than doubling over the past two days. Following Bitcoin’s split on August 1, the alternative Bitcoin Cash traded consistently at around $US300. 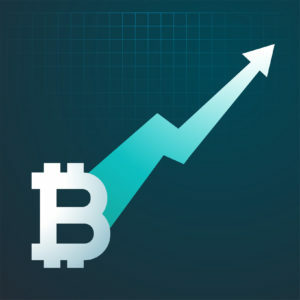 The price surge means that Bitcoin Cash is now the world’s third biggest cryptocurrency by market capitalisation, behind Bitcoin and Ethereum.Prices for Bitcoin were holding steady this morning at just over $US4,100, but down from their record highs earlier in the week above $US4,400.Amid the recent surges in both Bitcoin and Bitcoin Cash, Ethereum prices have remained steady at around $US300.According to data from coinmarketcap.com, over half of Bitcoin Cash’s transaction volume overnight was made on trading exchanges in South Korea.The split in the two currencies was driven by disagreements in the Bitcoin developer community over transaction speeds.Proponents of Bitcoin Cash set up the alternative version on a separate blockchain that would allow for increased transaction volume.According to cryptocurrency website coindesk.com, as demand increases and more computing power is devoted to the Bitcoin Cash network, it will become increasingly easier to use and mine new coins. As usual in this new space, no one knows what happens next but based on the price action over the last two days it will be worth watching over the weekend.